Tech Talk with Wong Kai Yi, Tech Contributor of The Business Times. Is Amazon Violating The Privacy Of Its Alexa’s Users? Tech Talk: It has emerged that Amazon employs thousands of people around the world to help improve its Alexa digital assistant. The teams help to improve Alexa's speech recognition and ultimately helps it respond better to commands. BT tech contributor Wong Kai Yi weighs in. He also shares what’s next for Google Maps as it’s reportedly expected to include ads in the future. How Will The 4th Industrial Revolution Disrupt The Future Of Workforce? Tech Talk: The world’s workforce could face an imminent and profound transformation over the next five to 10 years, as AI and analytics change job roles in companies across all industries. IBM chief executive Ginni Rometty says she expects AI to change 100% of jobs within the next five to 10 years. What will IBM do to prepare their employees for this transformation? BT tech contributor Wong Kai Yi weighs in. He also discusses Walmart’s latest effort to compete with Amazon in the fresh food industry. 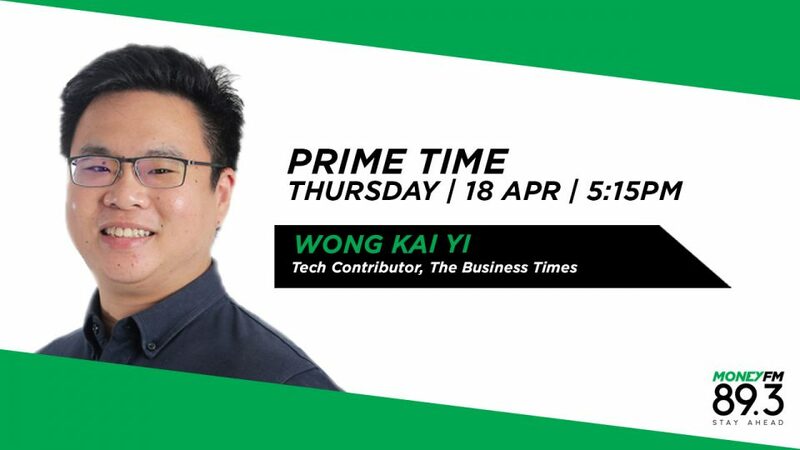 Tech Talk: BT tech contributor Wong Kai Yi on Amazon’s huge concentration power and the breakdown of figures for its different industries - such as e-commerce, cloud computing, groceries, and online apparels. He also shares what online merchant Lazada aims to achieve by going into the financial services space. How Will Robots Play An Important Role At The 2020 Olympics And Paralympics In Japan? Tech Talk: BT tech contributor Wong Kai Yi on what job roles robots will be playing in the upcoming Olympics and Paralympics. He also weighs in on Google’s latest fine by the EU for having exclusivity contracts on website owners. What Big Changes Can The 5G Mobile Platform Bring? Tech Talk: BT tech contributor Wong Kai Yi weighs in on how the 5G mobile platform can create big change and explains why AI is one of the top tech trends. Why Are Companies Using AI As A Blanket Phrase To Attract Investments? Tech Talk: Samsung is reportedly working to eliminate a crease that appears on the screen of its foldable phone, Galaxy Fold, after the device is folded around 10,000 times. Does this reflect the lack of durability for the phone? BT tech contributor Wong Kai Yi weighs in. He also explains why companies are overusing the term AI. Is Apple’s Project Titan Facing Troubles? Tech Talk: BT tech contributor Wong Kai Yi weighs in on Apple’s plan to lay off 190 employees in its self-driving car programme and shares his thoughts on the world’s first car to be fully powered by Android. Why Is Amazon Investing US$700 Million On Rivian? Tech Talk: BT tech contributor Wong Kai Yi weighs in on senior UK lawmakers’ proposal for a regulator to oversee social media companies in the tech industry, and why Amazon is investing US$700 million into electric truck startup Rivian. Which E-Sports Markets Are Prime Revenue Generators? Tech Talk: Global esports revenues will hit US$1.1b in 2019, with the help of advertising, sponsorship and media rights. BT tech contributor Wong Kai Yi shares which countries are most primed for growth. He also weighs in on China’s progress in the 5G race. Tech Talk: Spotify buys two podcast startups, and it’s just the start as it plans to spend up to US$500m on podcast-related acquisitions. BT tech contributor Wong Kai Yi shares how it can go up against tech giants like Apple. Tech Talk: Apple has revoked Facebook’s licence to run its business app program, after a report revealed Facebook was tracking Apple users’ activity movements. BT tech contributor Wong Kai Yi weighs in on the fallout. He also explains how AI can help people with speech disabilities structure their thoughts into speech. Tech Talk: Airbus is looking to use quantum computing into aircraft design, but how? BT tech contributor Wong Kai Yi weighs in. Why Is Apple Cutting Its iPhone Supply By 10%? Tech Talk: Apple is cutting its current production plan for new iPhones by about 10% for the next three months, in a sign that it’s expecting a further hit this year. This comes just a week after saying it would miss revenue forecasts. BT tech contributor Wong Kai Yi weighs in. Tech Talk: A tumbling stock market hasn’t deterred consumers from holiday shopping, as Amazon reported record-breaking sales. BT tech contributor Wong Kai Yi shares what products consumers are buying, and predicts the top trends for 2019. Tech Talk: Why can’t Facebook learn from its mistakes? BT tech contributor Wong Kai Yi on Facebook’s response to allegations of granting tech giants access to users’ data. He also gives some Christmas stocking ideas for the tech geek. Tech Talk: BT tech contributor Wong Kai Yi on how this self-driving service works what safety features are in place. Tech Talk: New Jersey police are using fake Amazon boxes, doorbell cameras and GPS to stop packages from being stolen. BT tech contributor Wong Kai Yi discusses this, as well as Google+’s early closure. Microsoft vs Apple - Who Will Be World’s Largest Company? Tech Talk: Microsoft last held the top spot 16 years ago. Wong Kai Yi on what’s driving its rise now.